From Heathcote Station, this walk heads south-east along Wilson Parade following the railway tracks. Shortly after passing the emergency services centre, the track comes to an intersection with a bush track signposted as the ‘Karloo Track’. 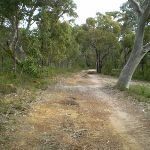 Turn left : From the intersection of Wilson Pde and the bush track at the large sign saying ‘Karloo Track’, this walk heads east away from the road. 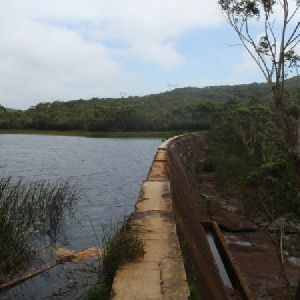 Shortly after, this turns to the north and goes behind the Rural FIrefighting Station (Emergency Services Centre), then the track turns back to the east and continues along the bush track. Gradually this turns to the south and goes slightly downhill until reaching Heathcote Brook. Just after crossing the brook, the track comes to an intersection with another bush track. Veer left: From the intersection, this walk heads east. The track gradually rises onto the ridgeline and there are some reasonably good views over the surrounding valley. 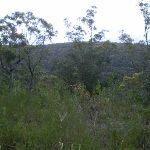 The track continues east in this manner then begins to gradually drop down off the ridge along the slightly rougher bush track until reaching Karloo Pools. This would be a good spot to take a break and get your toes wet. 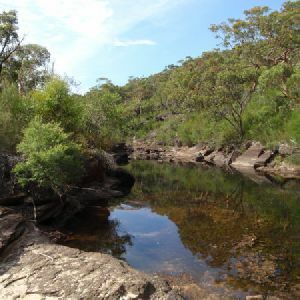 Continue straight: From the intersection, this walk crosses Kangaroo Creek at Karloo Pools, then follows the ‘Waterfall via Uloola Falls’ arrow up the hill between the rocks and along the rocky bush track. 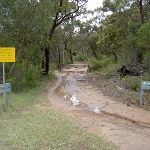 The track climbs up the long hill for a while, then it flattens out for a short while passing a sign pointing back to ‘Heathcote’, before continuing up another long rocky hill to the top of the ridge. 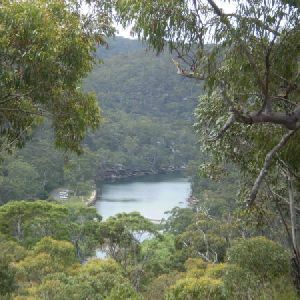 From the top of the hill, the track continues through the trees which quickly open out into scrub. The walk follows the yellow painted markers across all the rock surfaces, until it gradually starts to descend down the end of the ridge, steadily winding down until coming to a large flat clearing. 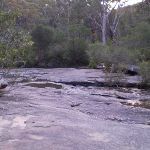 Here, the walk turns right and crosses the Uloola Brook, then continues along the bush track heading away from the brook for a short while, passing the sign with arrows to ‘Waterfall’ and ‘Heathcote’ before coming to the ‘Uloola Falls Bush Campground’. 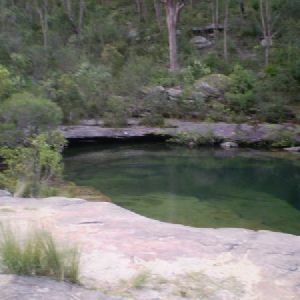 This clearing has six camping sites (maximum of 18 people), and wood fires are not allowed. 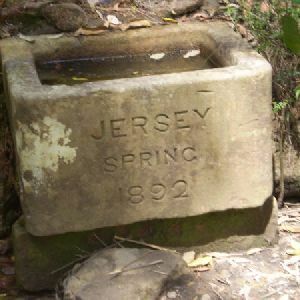 The site has a toilet, and there is usually water in the creek (treat before drinking). 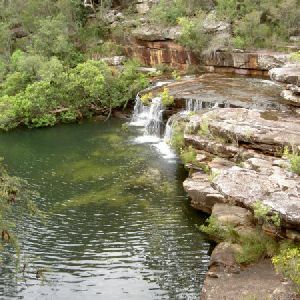 In drier periods, contact rangers regarding water availability. Pre-arranged camping permits are essential. Veer right: From the south-west end of the campsite, this walk heads south along the rough track, climbing slightly. 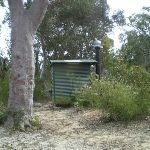 This continues for approximately 150m until reaching a small clearing (marked with a post with a ‘no camping’ symbol). 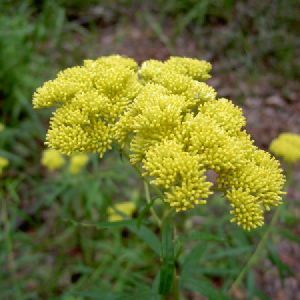 On the southern end of the clearing, the walk connects with a management trail, marked as the ‘Uloola Fire Trail’. 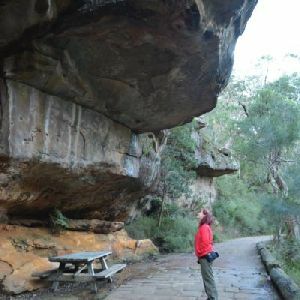 The walk follows the trail for approximately 530m until coming to an easy-to-miss intersection with a bush track (on your right), where the main trail bends fairly distinctly left. 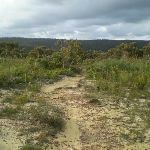 Turn left: From the intersection, this walk heads up the hill away from the bush track and clearing. The trail winds up the hill, then winds across the ridge with many large clearings on either side of the trail. 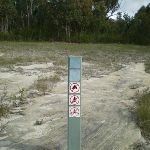 The walk then heads in a southerly direction to the intersection marked by the ‘Couranga Track’ sign. Continue straight: From the intersection, this walk follows the ‘Waterfall’ arrow along the sandy management trail. 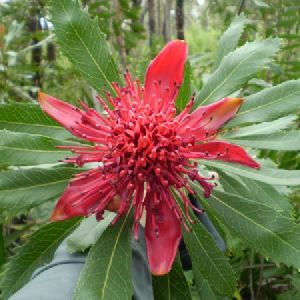 The walk heads up the short, gentle slope then continues along the flat for a while, as the surrounding vegetation slowly changes from scrub to a predominantly eucalyptus bushland before the track heads around a locked gate and comes to a cricket oval. 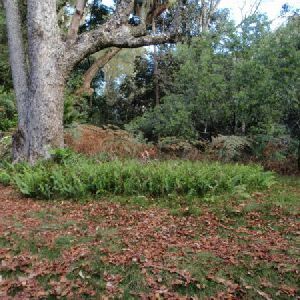 Veer right: From the intersection at the gate, this walk follows the right-hand edge of the cricket oval, coming to the intersection of a signposted bush track. The walk follows this track through the dense scrub, passing through some ferns before coming out behind Waterfall Station car park. The walk crosses the grassy clearing, heads through the gap in the fence and continues straight through the car park. The walk heads onto the road bridge, crossing the railway line to the ramp (which goes down onto the platform). 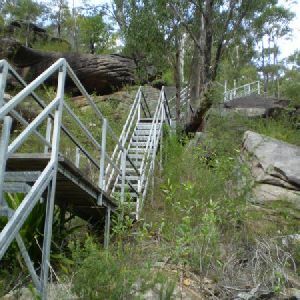 Around 8km of this walk has short steep hills, whilst the remaining 3km has gentle hills with occasional steps. 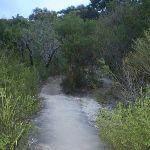 10km of this walk follows a formed track, with some branches and other obstacles and another 950m follows a clear and well formed track or trail. Whilst another 590m follows a rough track, where fallen trees and other obstacles are likely and the remaining 200m follows a smooth and hardened path. 6km of this walk has minimal directional signs and another 4.5km has directional signs at most intersection. The remaining (1.1km) is clearly signposted. 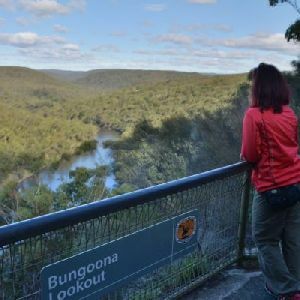 Around 6km of this walk requires no previous bushwalking experience, whilst the remaining 4.8km requires some bushwalking experience. 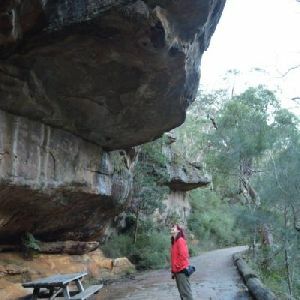 This whole walk, 11km has limited facilities (such as not all cliffs fenced). 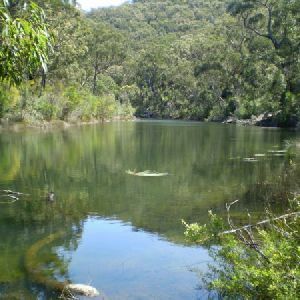 A list of walks that share part of the track with the Uloola Track (Heathcote to Waterfall) walk. 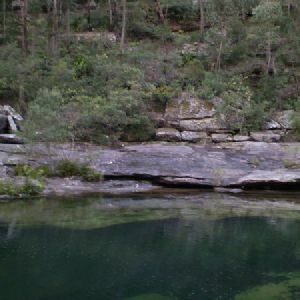 A list of walks that start near the Uloola Track (Heathcote to Waterfall) walk. 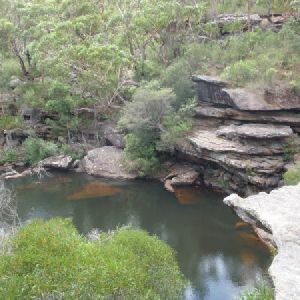 http://new.wildwalks.com/wildwalks_custom/includes/walk_fire_danger.php?walkid=nsw-royalnp-htwvkpauf Each park may have its own fire ban, this rating is only valid for today and is based on information from the RFS Please check the RFS Website for more information.